Congratulations to 2013 grad, Corey Ely, who has just been awarded a James Madison Fellowship. This $24,000 award will support Ely's effort to earn an M.A. degree in history and includes a four week, all-expenses paid trip to D.C. next summer. Corey teaches social studies at Grants Pass High School. Ryan Dearinger, a 2002 history graduate, had his book, The Filth of Progress: Immigrants, Americans, and the Building of Canals and Railroads in the West, published by UC Press October, 2015. Ryan is an Associate Professor of History at Eastern Oregon University. Cydney Thompson, a 2015 history graduate, took the lead in redesigning the exhibits at the recently renovated Franklin County Historical Museum in Pasco, Wash. where she works. Stephanie Steinhorst, a 2005 history graduate, had an article published in the January/February 2014 edition of Legacy, which is the magazine of the National Association for Interpretation. Her article is entitled, "Captured! Interpreting the Prisoner of War Experience with Children." One of our 2012 history graduates, Hannah Souter, reviewed a book “Relational Theology: A Contemporary Introduction” in the Fall 2013 edition of the Wesleyan Theological Journal (Vol. 48, No. 2). 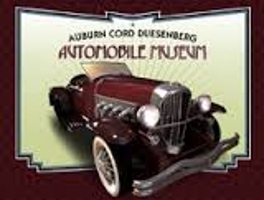 Aaron Warkentin, a 2005 history graduate, is the museum curator at the Auburn Cord Duesenberg Automobile Museum, which was featured on an Australian program, "Classic Restos". Stephanie Steinhorst, also a 2005 history graduate, was awarded the Southeast Region Freeman Tilden Award and will compete for the 2012 National Freeman Tilden Award. 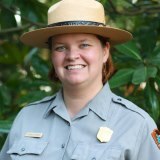 Stephanie is a Historical Interpreter at the Andersonville National Historic Site in Andersonville, Georgia. The 2012 regional Freeman Tilden Awards have been presented to seven innovative National Park Service employees. The annual award recognizes creative and original contributions toward a specific project or program in interpretation or education. Stephanie lead the park's first Historical Interpreter Apprentice Program. The youth engagement and outreach program immersed local high school students in the history and the operation of the park. Stacy Keogh and Sam Greene (both 2005 history graduates) recently published "The Parliamentary and Presidential Elections in El Salvador, March 2009" in Electoral Studies (December 2009). Stacy is pursuing a PhD at University of New Mexico and teaching this year in the sociology department at the University of Montana. Samuel is a PhD candidate in Politics at the Catholic University of America in Washington DC. He also works as a research assistant at the National Defense University.